Still don’t think government agencies are capable of being efficient? ““The amount of mail in the system is declining, so we need better and more efficient ways of delivering the mail,” said Canada Post spokesman Jon Hamilton, emphasizing once the new method is implemented across Canada it should result in annual savings of $250 million. The new model won’t adopt the U.S. Postal Service’s style where delivery vans often pull up to mailboxes at the curb where carriers don’t get out of their vehicles. Previously, I wrote the article, Canada Post as a model for saving the U.S. 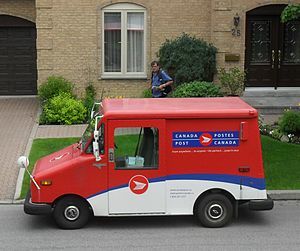 Postal Service, wherein I documented Canada Post’s 16-year consecutive profit, showing that government services are capable of being competitive, despite the constant rhetoric of well-funded government-regulated and government-sanctioned entities like the Mises Institute.